Thomas Locicero is an award-winning short story writer, poet and essayist, as well as a playwright and monologist. His work has appeared in Roanoke Review, Boston Literary Magazine, The Long Island Quarterly, riverrun, Omnibus Arts & Literature Anthology, A&U: America’s AIDS Magazine and Beginnings, among other literary periodicals. Originally from East Islip, Long Island, Thomas resides with his wife, Lil, and their sons, Sam and Ben, in Broken Arrow, Oklahoma. 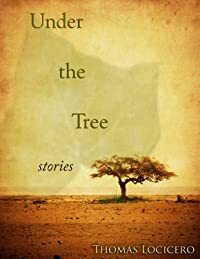 “Under the Tree” is his first short story collection. Thomas Locicero’s award-winning short stories examine the human experience at its most vulnerable moments, when decisions made in haste often come to define—or come back to haunt—one’s life. An old ex-boxer battles memories of former glory that continue to cloud his mind and marriage. An ancestry chronicler has a secret that will change his family tree forever. A targeted migrant worker uses storytelling to offer hope to his son. An African boy who participated in genocide returns to his village to discover that life does not end with death. Rendered with biting description and imagination, these captivating stories survey the rebels and reprobates, the delusional and disillusioned, the misfits and misguided souls who exist to survive among us, amid the tolling that reverberates between what their lives have become and what they can be. 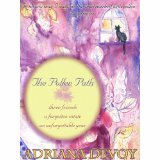 From my earliest recollections of childhood, the one constant in my life has been my desire to be an author. I remember being in fourth grade at Timber Point Elementary School in East Islip and writing a poem for a girl named Jennifer Herman. While the class was watching a film, I was sneaking my way toward Jennifer’s desk to hand her the poem. Mr. Biangardi caught me and snatched the paper from my hand. The class was giddy with joyful anticipation because, as was the custom, Mr. Biangardi was going to read the “note” aloud to the class, using my embarrassment as a weapon to deter future note passers. After reading the poem to himself, he said, “You wrote this?” I answered, “Yes, just now.” To the dismay of my classmates, Mr. Biangardi handed the poem back to me and said, “It’s really good.” After class, he encouraged me to pursue writing. As an addendum to the story, Jennifer Herman moved away the following year and I never saw her again. The book is selling for only $2.99. I would love to hear back from you. 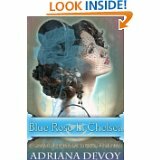 I wholeheartedly recommend Blue Rose in Chelsea and The Pollen Path by Adriana Devoy.